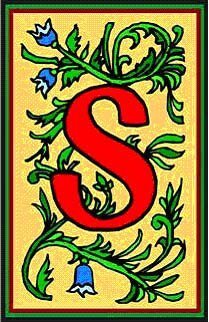 Ophelia’s Jump’s Annual Midsummer Shakespeare Festival presents two Shakespeare classics beginning July 14. 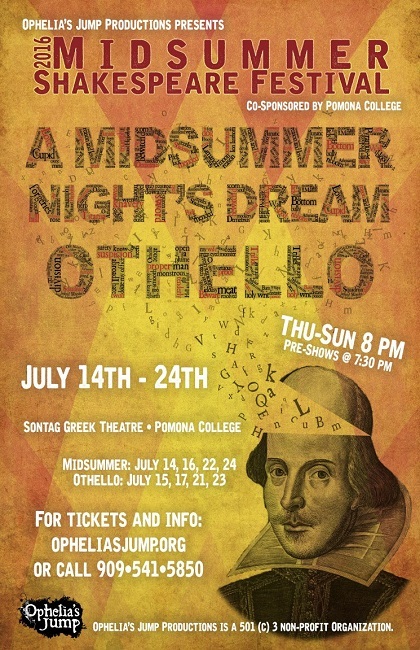 Performances of A Midsummer Night’s Dream (opening 7/14) and Othello (opening 7/15) will alternate each night in Pomona College’s Sontag Greek Theatre, a beautiful outdoor amphitheater originally built in 1910 and renovated in 1997. Prior to the performance, a 30-minute Green Show acts as an entertaining prelude to the main performance. Bring a picnic and don’t forget a small blanket or cushion for added comfort. The productions will run through July 24 at The Sontag Greek Theatre at Pomona College in Claremont. The festival, co-sponsored by Pomona College, includes exhibits, arts and crafts by community businesses and organizations. Tickets are available at www.opheliasjump.org, or by calling 909-541-5850. 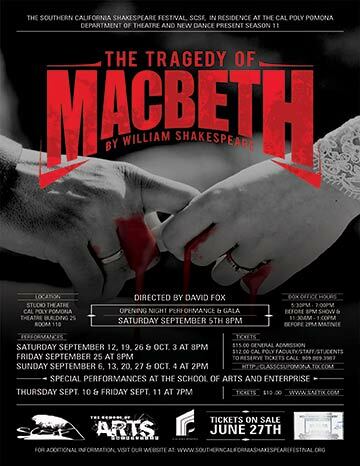 Southern California Shakespeare Festival will present Macbeth September 5 – October 4 in Cal Poly Pomona’s Studio Theatre. Shakespeare’s classic drama depicts a tale of better ideals overwhelmed by misguided ambition, and the runaway exercise of unchecked imperial power leading to extravagant bloodshed and then, revolution. The play remains popular because it resonates with 21st Century audiences. It will be costumed in modern dress, not tying it to any specific time period in a bid to universalize the action. 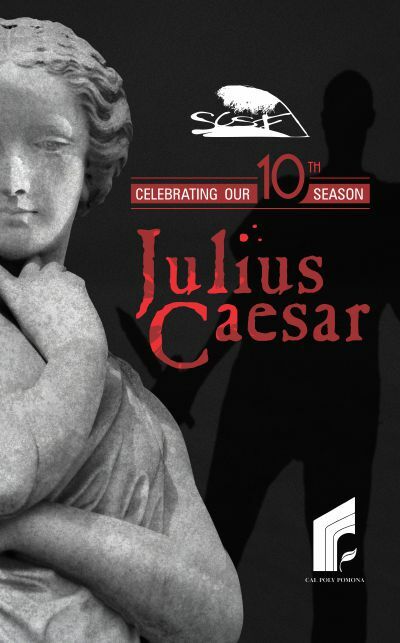 Southern California Shakespeare Festival has announced that it will present Julius Caesar Sept.13 – Oct. 5 at Cal Poly Pomona, directed by Josh Machamer. In this tenth anniversary production, the eponymous character will be played by the Festival’s artistic director, Linda Bisesti. Gender-bending in the casting is not new for the Festival; Lisa Wolpe portrayed Richard III in 2011. The Festival has consistently practiced non-traditional casting, and a number of the roles in the 2014 production have been cast without limitation by race nor gender. It’s Shakespeare for the masses in 2014 as we celebrate the 450th anniversary of Shakespeare’s birth! In Southern California you’ll find more productions and events than ever so mark your calendar now for a big year ahead. 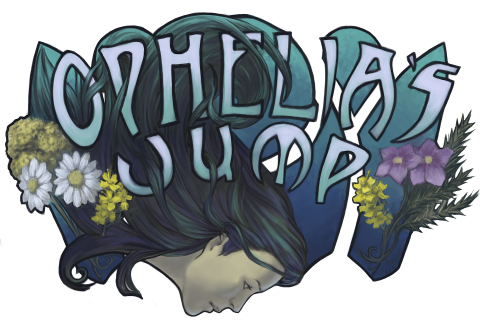 Ophelia’s Jump Productions has announced a new partnership with the Pomona College Department of Theatre and Dance: Theatre for the Claremont Colleges, and a number of shows to be produced in 2014. Shakespeare fans will be happy to note that next summer Ophelia’s Jump will inaugurate a Midsummer Elizabethan Festival in repertory as they present Shakespeare’s The Merry Wives of Windsor, directed by founding artistic director Beatrice Casagran, July 17 – 27, 2014 and Macbeth, directed by associate artistic director Kevin Slay, July 18 – 26, 2014. Performances will take place in the Sontag Greek Theatre. In addition, the company will present 33 Variations by Moises Kaufman September 5 – 14, 2014 in the Allen Theatre. For more information, visit www.opheliasjump.org. 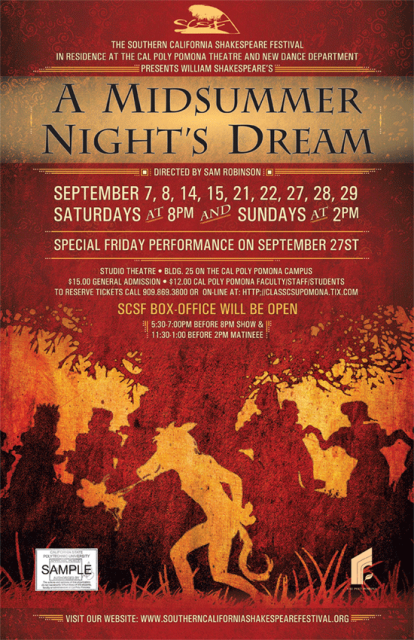 Southern California Shakespeare Festival, a professional company located on the campus of Cal Poly Pomona, presents Shakespeare’s comedy, A Midsummer Night’s Dream, September 7 – 29. The play is an audience favorite, full of love and romance, comedy and laughter, magical creatures and mystical spells. The cast features Equity Guest Artists Annie Dennis, Marissa Pitts and Lena Solano, with Luis Arrendondo, Vanessa Babida, Job Barnett, Catherine Campbell, William Dinwiddie, Adriana Flores, Amy Hatfield, Andrea Lopez, Valerie Lopez, Andy Nguo, Tiana Parker, Dylan Parra, Ruben Serrano, Paula Solano and Alicia Joy Volinkski. Linda Bisesti is SCSF’s artistic director and the Festival production manager is Marie Maslowski. Studio Theatre, 3801 W. Temple Avenue, Building 25, Pomona, CA 91768.